ADIPEC 2018 is just a few weeks away, November 12-15 November, and if you plan to attend, please update your schedule of events to include stopping by our booth for a demo of FieldAP at the FutureOn™ booth. You can find us in the Digitalisation of Energy zone in hall 14 (Stand: 14418). 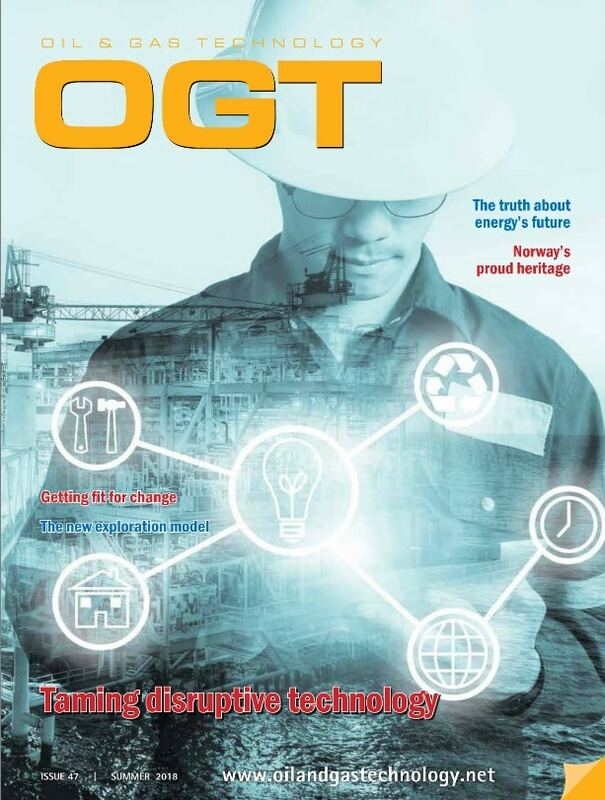 Come see why operators, EPCs and Marine installers like ExxonMobil, Equinor, McDermott, Subsea7, Aker Solutions and others have selected Field Activity Planner for their visual digitalisation workflow. Or you can contact Darrell Knight or Thornton Brewer to schedule a time directly. We’ll be happy to do an in-office demo or visit with you after AIDEPEC if you aren’t planning to attend this year. ADIPEC 2018 will see the introduction of a dedicated Digitalisation Zone that covers a range of new technologies, including Artificial Intelligence, Deep Machine Learning, Edge Computing and Blockchain technology across the oil and gas industry. With cutting edge start-ups, SME’s and tech-giants all involved with bringing about and accelerating the transition of the 4th industrial revolution, the advent of a second digital age is upon us and the time to adapt, adopt and implement the wave of new technological advances that will unleash unparalleled productivity and significantly boost performance, is now. 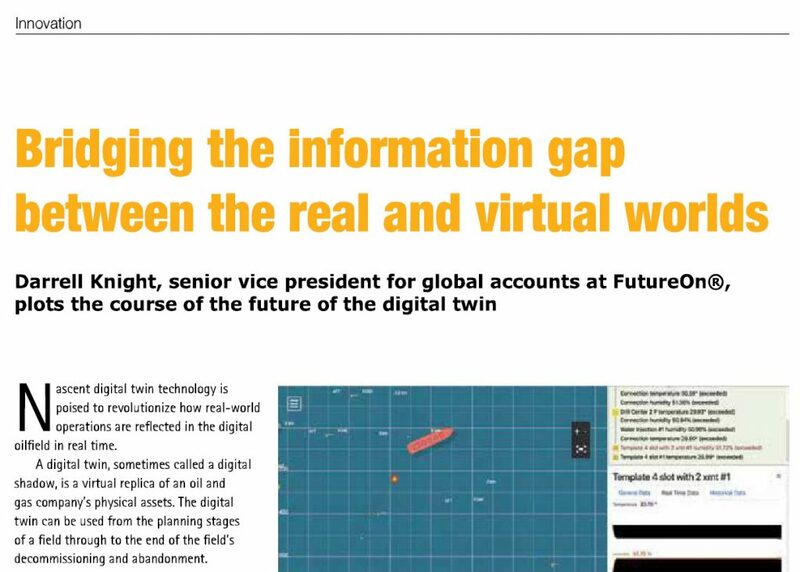 Read how Darrell Knight, senior vice president for Global Accounts at FutureOn plots the course of the future of the digital twin in the latest issue of the International Edition of Oil and Gas Technology news. 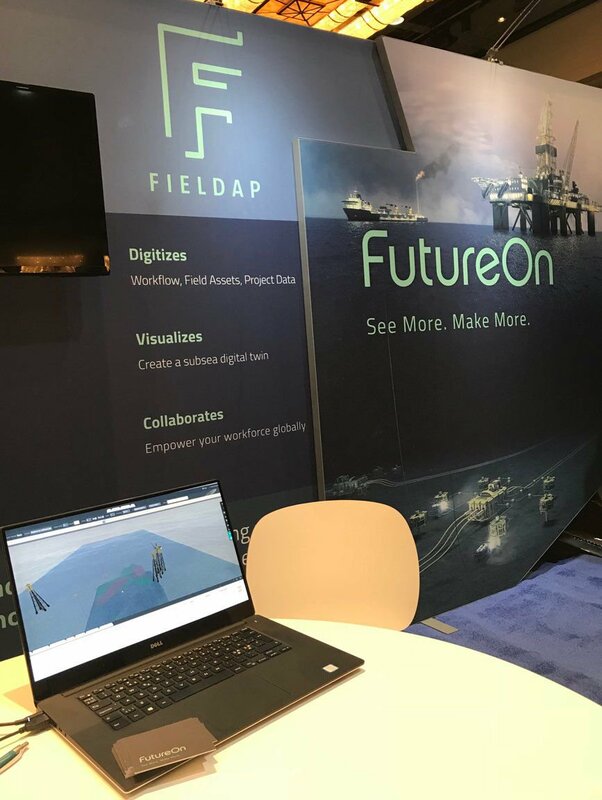 HOUSTON – (Aug. 22, 2018) – FutureOn, a leading oilfield software and data visualization solutions provider, announced it will exhibit at the ONS Conference in Stavanger, Norway, August 27-30, 2018. FutureOn can be found in Hall 4 at Stand 4170 in the Digitalisation Zone – the latest addition to ONS, dedicated to showcasing digital solution providers. In addition to exhibiting, FutureOn will give daily presentations on the ONS Exhibitor Stage (schedule below) where attendees can learn about FutureOn’s Digital Twin technology for the subsea field, integrating cloud architecture with offshore technology, releasing data from silo-ed storage for use across projects, and breakthroughs in subsea field planning and operations. 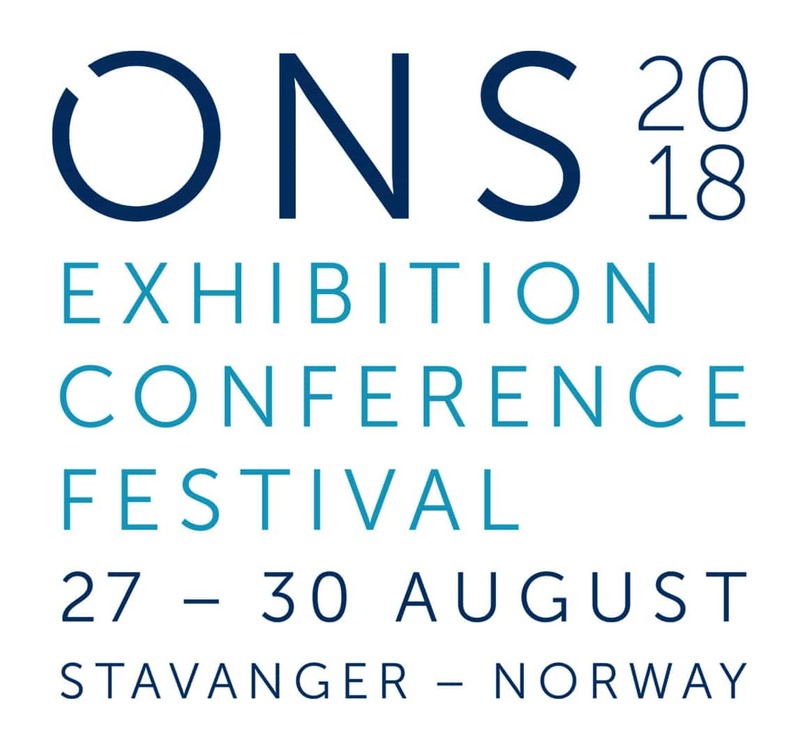 Notes to editor FutureOn executives are available for one-on-one interviews at the ONS Conference in Stavanger, Norway on August 27-30. ONS 2018 is just around the corner, August 27 – 30th, and if you plan to attend, please update your schedule of events to include stopping by our booth for a demo of FieldAP at the FutureOn™ booth. We are in the Digitalization Zone in hall 4 (Stand: 4170). Come see why companies like ExxonMobil, Equinor, McDermott, Subsea7, Aker Solutions and others have selected Field Activity Planner. Or you can dontact Darrell Knight or Thornton Brewer to schedule a time directly. We’ll be happy to do an in-office demo or visit with you after ONS if you aren’t planning to attend this year. When oil and gas was discovered in the North Sea, the need for a meeting place for the companies in this new industry emerged. ONS was held for the first time in 1974, and has more than 40 years of proud history. ONS is a non-profit foundation, and was established by Stavanger City Council, Statoil, Stavanger Forum and the Norwegian Petroleum Society. ONS has developed with the times – as has the name. In the seventies, ONS was short for Offshore North Sea, as the event was targeted at companies with business in the North Sea basin. However, the oil industry soon started to explore other parts of the Norwegian Continental Shelf. The ONS event grew alongside the industry, more exhibitors and visitors participated and the conference topics became broader. So the name was changed to Offshore Northern Seas. Today, the event attracts visitors from all over the world, and is known just as ONS. 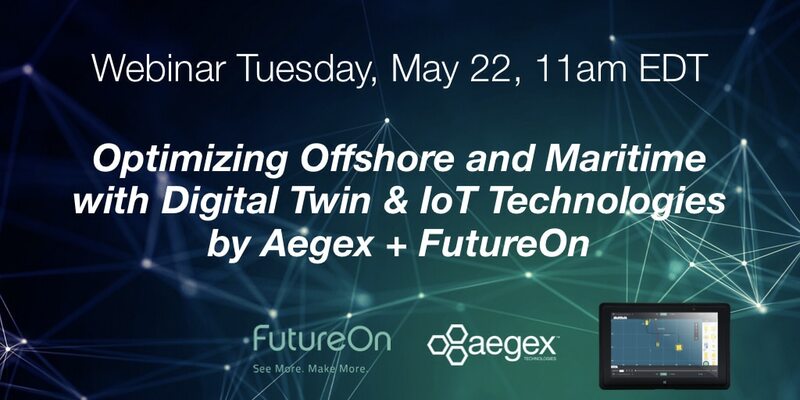 Join us for a webinar featuring FutureOn’s offshore digital twin solutions that run on Aegex intrinsically safe tablets and use data from Aegex IoT sensor modules to provide real-time visualization of offshore and maritime assets to help improve efficiency.